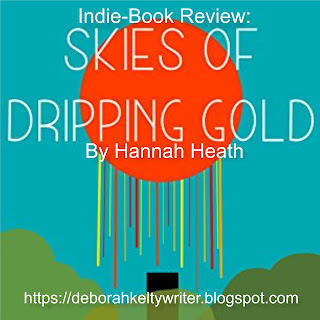 Skies of Dripping Gold, published in December of 2015, is a ChristianYA dystopian in which a boy named Gabriel chooses to search for the hope many he knows have wished for. In an angry, frightened world where the Poison claims many lives, a young man's belief in Paradise has collapsed into a distant dream. As his sister's sickness progresses, eating away at her life. Gabriel sets on a desperate climb to save her from death and discover the truth behind the rumors of a world where the skies drip gold. As he climbs the cliff that is said to lead to Paradise, he begins to question: if he can't bring himself to believe in a place of peace and golden skies, then how can he possibly hope for his sister's rescue? How can he possibly hope for his own? Due to a slightly long period before its arrival, I can only bring out one indie book review this month. As it means I can work on other posts if want to. But also because I've got a lot to process with what I got recently. 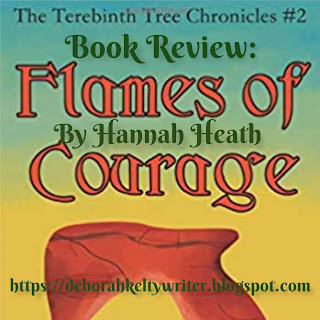 Flames of Courage is the second released of The Terebinth Tree Chronicles collection, which came out last month on August 14th. If you want to know more about the short stories and the first one, Colors of Fear, check out my previous review! Synopsis: As a halfblood with a powerful secret, Jayel does not intend to spend the rest of her life hidden away in a desert oasis. She rejects what everyone is telling her: Halfbloods don't. They don't become warriors. They don't become heroes. They don't make a difference. fairy-tales as much nowadays, retellings of them still remain pretty popular. Among them is one not a lot know about, but is one of the few I actually enjoy and, of course, an underrated movie. And it is called Ever After. Ever After, also known as Ever After: A Cinderella Story, is a 1998 romantic drama directed by Andy Tennant, that was inspired from the iconic Brother's Grimm story of Cinderella. 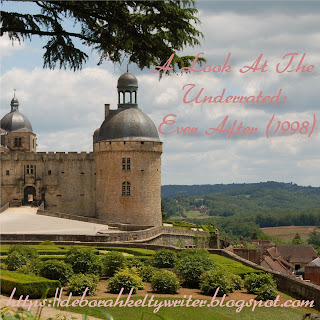 But unlike the original, the magical elements mentioned were stripped away and replaced with a historical backdrop set in 16th century France. This is might be the most cruelest sounding post I may ever write. And from the title alone I've probably already by accident killed an entire race of unknown alien beings on another planet like what Thanos did to nearly all superheroes ever. (Only till Avengers 4, that is.) But there's one thing to be made clear first. I'm not saying that writing isn't for everyone. Anyone can write if they want to if they have a really good idea in mind and plenty of writerly wisdom to help them along the way. That said, it's one thing doing it as a hobby, or as a way to occupy your brain on a rainy day, to those who choose it as their number one life career. And it is that group of people I'll be talking about today. 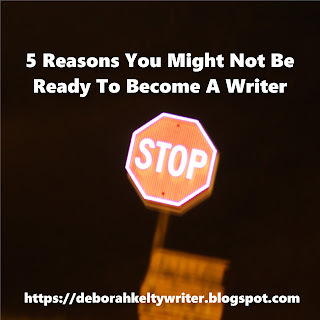 Plus the 5 signs you may not be (yet) able to take on a full-time writing job, if you're interested. 1. It's going to require a lot of virtues.